Givenchy L'Ange Noir Eau De Parfum is an floriental fragrance combining both light and dark notes, born of an unexpected alliance between the immaculately White Iris, among the most noble of flowers, and the singularly unsettling Black Sesame.The fragrance opens intriguingly with an enchanting feeling of freshness : a Fresh Almond and a bold, spicy Pink Pepper.The slightly powdery, luminous tones of Iris glide towards the addictive, faintly salty notes of Sesame.The bewitching impression created by these stirring accords reaches its height with the deeply sensual Amber and the voluptuous languor of Tonka Beans. 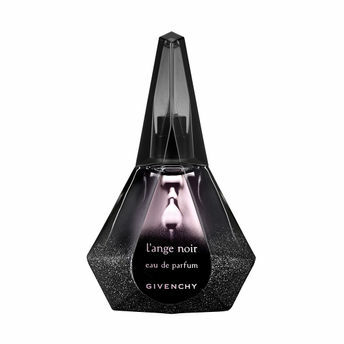 Packed in a precious glittered bottle, this spellbinding fragrance 'L'Ange Noir by Givenchy is inspired by 'Femme Fatal' , who is an intriguing, mysterious and sensual woman who wears her scent like a seductive love potion: elegant, bold, one of a kind – and infinitely desirable. Explore the entire range of Perfumes (EDT & EDP) available on Nykaa. Shop more Givenchy products here.You can browse through the complete world of Givenchy Perfumes (EDT & EDP) .Alternatively, you can also find many more products from the Givenchy L'ange Noir Eau De Parfum range.